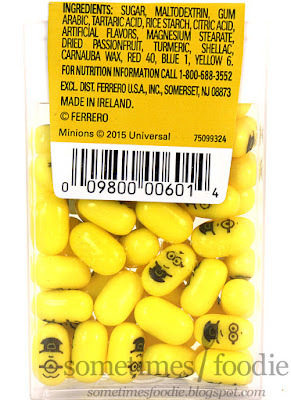 Minion candy makes sense. 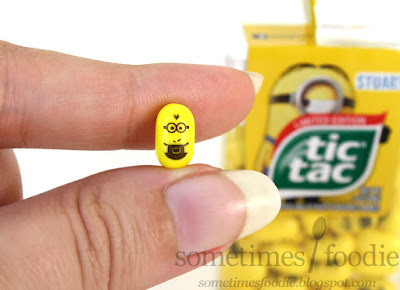 We've had Minion Peeps, Minion Mike & Ike's, and now Minion Tic-Tacs, but a Minion Swiffer duster? That's where I draw the line. Seriously, this is getting out of hand. Why is there a cleaning product tie-in with this movie? I brought this up to Cybele during our last Candyology101 recording and she thought it might be a way to trick kids into cleaning, maybe that's their angle, but I don't understand who at marketing was like, "Yep, that's brilliant! Pack 'em up and ship 'em out!" 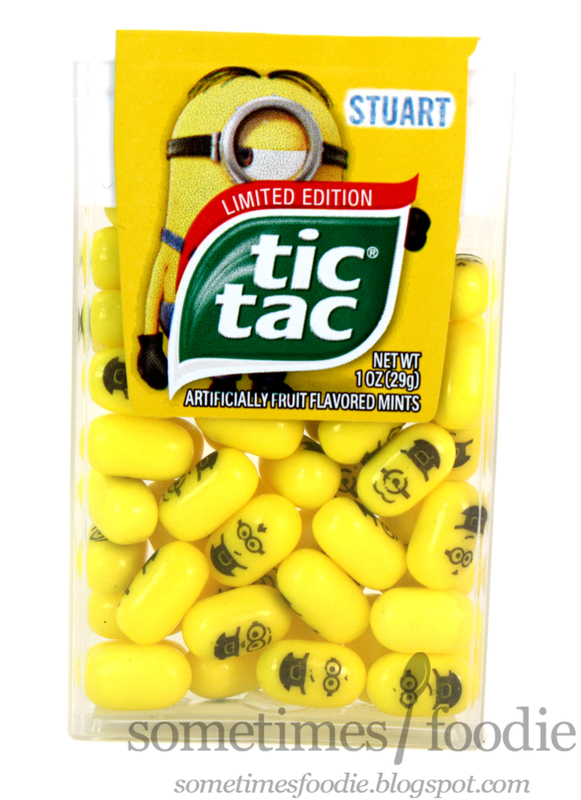 I may not be behind every Minion product that's available, but these Tic-Tacs are something special. This is Tic-Tac's first time using their new printing process that allows them to add images to their candies. 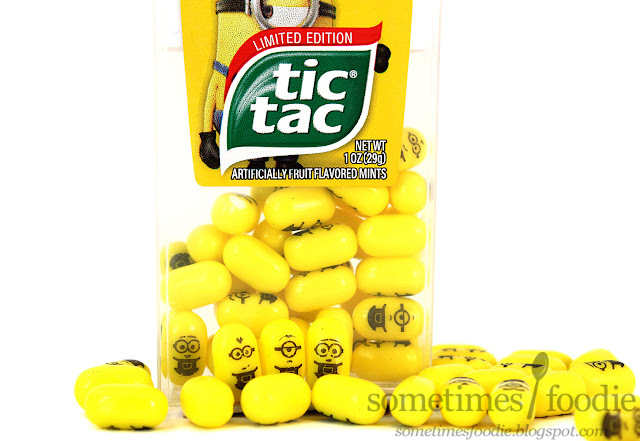 Even though printing on candy in general is nothing new, m&m's and Skittles have been doing it for ages (along with several other companies), Tic-Tac has never done it before, and I gotta say, they've done a fantastic job with their debut product. These are so freaking cute! 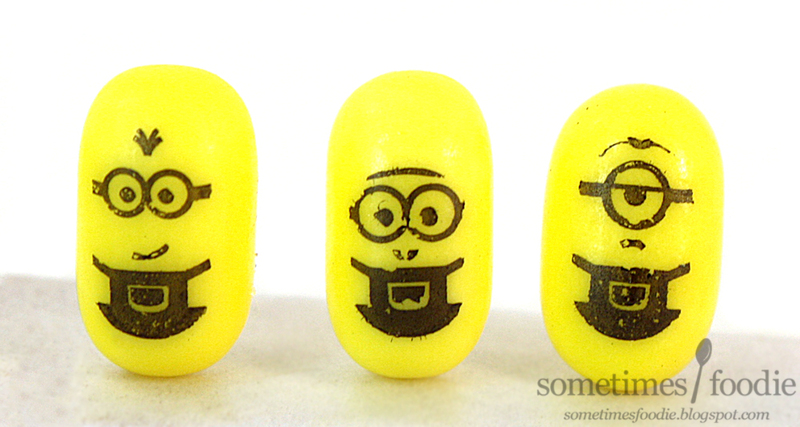 The pill-shape of these candies makes the perfect canvas for these teeny tiny Minion illustrations. Really quickly I want to talk about the overall packaging. This version is very much like the Tic-Tac boxes I grew up with. It's a clear plastic box with a removable lid, and some sticker labels holding everything together. 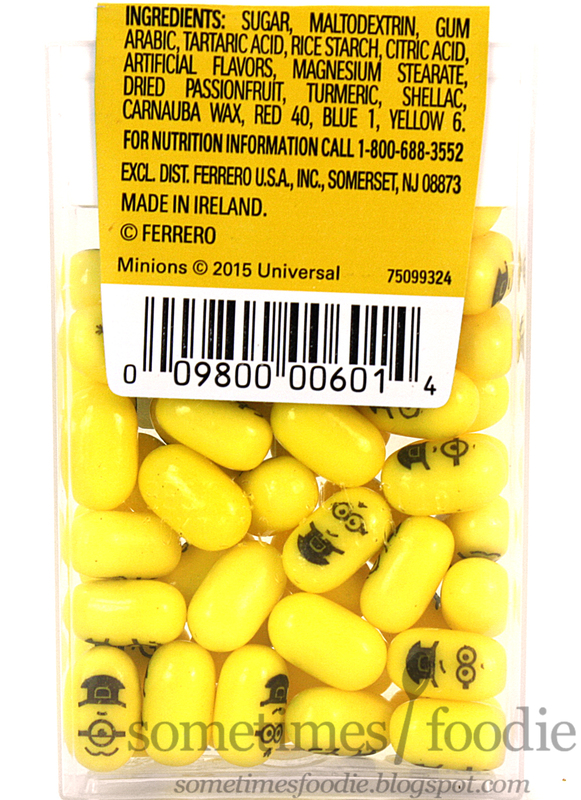 The clear box allows us to see all of the tiny Minion faces inside, and it allows the bright yellow color of the product to catch your eye. As for the label designs, they are really poorly printed. At least the Minion image is. It seems really pixelated and noisy up close for some reason. With this being an officially licensed product, I really have no idea why the print quality is so poor. Originally, this wasn't the package I was hoping to buy. There's a fancy oval-shaped container of these Tic-Tacs out there somewhere shaped like a Minion, but I wasn't able to find it. Minion-Mania has hit hard. I was only able to find an empty cardboard display at the store, which had obviously been ravaged, and no fancy packs were left. Just these old-school packs. The candies are the same, so there's really no loss, but I did want to photograph that cute little package. So the packaging is functional, and you can choose between three different Minion characters, it's fun and showcases the product well. So I'd say with a better image and DPI for print, this would be a really successful design. On to the candy review! These are super freaking adorable, and they were a ton of fun to photograph, but how do they taste? Not like banana! I'll tell you that. 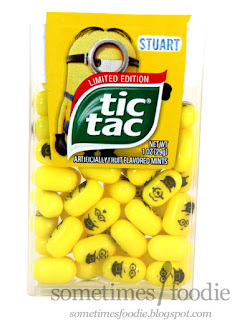 Apparently every other location on Earth that is getting this product gets to have tiny banana flavored Minions. Not the USA. We get passion fruit. Why? What does passion fruit have to do with Minions? Minions like banana! Urg, what a fail. The shape's perfect, the color's perfect, the prints are adorable, but the flavoring is completely wrong! I'm not a fan of artificial passion-fruit, and I'm really disappointed that these aren't banana. I may not enjoy the flavor, but what I did like was that I could feel the texture of the little printed images on my tongue. In-hand, I can't feel any difference between the print and the surface of the candy, but in my mouth it feels raised and kind of rough. I guess that sounds weird, but I like the added texture. From a marketing standpoint, I think this is a brilliant product! Everything (but the flavor) works incredibly well with the character designs and as far as promotional movie candies are concerned, this is really well done. I've already seen these flying off the shelves, so if you're a Minion fan you might want to run out and get these before they're gone. I really like the printed images and the look of this product, but the flavoring isn't for me. Come out with banana and I'll happily repurchase. Until then, one pack is enough.